For your skin to be healthy and to look good always, you need to eat a well balanced diet. Ensure that you especially get your fruits and vegetables regularly. In addition, you have to kick away sugary and fatty foods. This may be hard especially since many comfort foods are sugary or fatty but it’s a necessary move for anyone who wants to have clear healthy skin. There are a few changes that you can make in your life that can help you acquire a good healthy skin. First of all, if you haven’t been drinking water, it’s time to get started now. Drink at least 8 glasses of water every day. You also need to get some exercise. You don’t have to go to the gym, you can start small. Start off with some light jogging or even simply going for walks. You also need to ensure that you get plenty of rest. Ensure that you sleep adequately each night. Finally, get rid of the stress in your life. Stress shows on the skin. No matter what you do to treat your condition, it may all be futile if you are stressed. You should also kick away some of the bad habits that normally take a toll on the skin. For instance, if you are a smoker, you have to stop this. You also have to reduce your caffeine intake so as to get some changes on your skin. Spending too much time in the sun is also bad for your skin. One of the most important tips to help you get rid of acne and pimples is to keep your skin clean. To do this well, use a cleanser and plenty of water. Some people think that splashing some water on the face is enough but this is never the case. In addition, it’s not enough to simply was your face in the morning, you have to do it in the evening too. One of the worst things that you can ever do to your skin is going to bed without washing off your makeup. In addition, avoid using strong soaps that may be too harsh for your skin. It is also advisable to avoid using hot water which may make your skin lose its moisture. Don’t ever scrub your face aggressively as this will only do more harm than good to your skin. It’s very common to try and get rid of pimples by popping them. This is the remedy that most people try without realizing that it only makes the condition worse. It enhances the spreading of the bacteria and may lead to new outbreaks of acne. You should learn to keep your hands off your face. You can transport germ to your face by simply touching it too much. You should also hold your hair back and keep it from getting into contact with your face. On the same note, avoid getting the face into contact with clothes and pillows too especially if they are dirty. In recent times, the markets are flooded with acne treatment products that claim to help in getting rid of the acne and pimples. It is true that some of them may work but quite a few don’t. The effectiveness of a particular acne product really depends on each individual. You need to understand the core issues around your acne problems, have a good idea of your skin type to then make the best choice among the variety of products out in the market today. To help make this decision, it is recommended that you talk to a dermatologist. Ensure that the dermatologist that you talk to is well reputed and adequately conversant with skin problems. 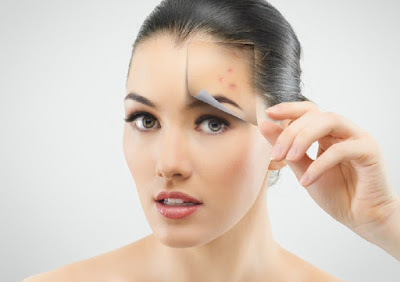 Some of the more popular acne treatment products in the markets today are Proactiv solution, Zeno acne clearing device, skiniD from Neutogena, or ZENMED acne therapy. Each one of these mentioned all have glowing reviews and recommendations confirming their effectiveness. However, as we mentioned before, always consult your dermatologist first and find out whether a particular product is the right choice for you. That said, even with ongoing medical treatments, you have to learn how to let your skin breathe from time to time. Don’t cover your skin at all times. Sometimes wash and keep it fresh without using any of the popular skin care products or make-up. Any skin care product that you use must be approved by your dermatologist. Sometime a small change in your makeup or skin care product can go a long way in controlling your acne issues. Talk to your dermatologist to find out which skin products work for your skin type.